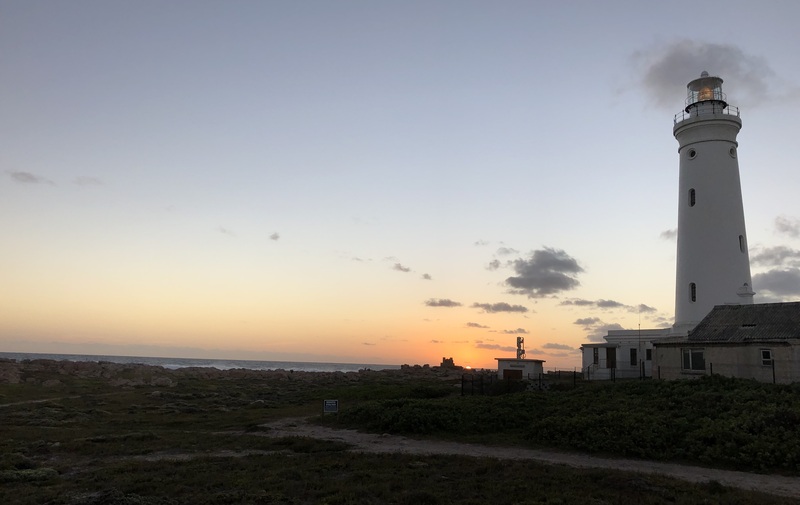 The sun setting over a lighthouse with a mysterious path in the front. I might just have maxed out my quota of clichéd ending / beginning symbolism, but this situation really just presented itself a few days ago. One previous year as I arrived at this particular lighthouse, it had a rainbow as well. I think the lighthouse itself is, analogously to Mitch Hedberg’s blurry bigfoot, inherently clichéd. Welcome to this, the most recent (as of this writing) instance of the venerable WHV year transition post tradition! 2011 to 2012 – transition post disguised as WHV with: “stop doing life goals, disconnect more, list of miscellaneous life tips, because in 2011 I am not-even-40-yet Mr Wisdom”. 2009 to 2010 – super short but sweet, I am clearly still new at this. Putting that list together just reminded me of an interesting observation: The more I try to take notes and document everything I see, the more I notice the multiscalar nature of my subjective experience being exposed. I make detailed daily notes, all of them grouped in monthly text files. At a slightly higher scale, the frequency of these WHV blog posts is somewhere between a post per week down to a post every three weeks. When I write each blog post, I look back through the previous weeks, at a daily scale, and perform an extremely lossy summarisation. When I write the year transitions, I perform an extremely lossy summarisation of the weekly-scale WHV posts. 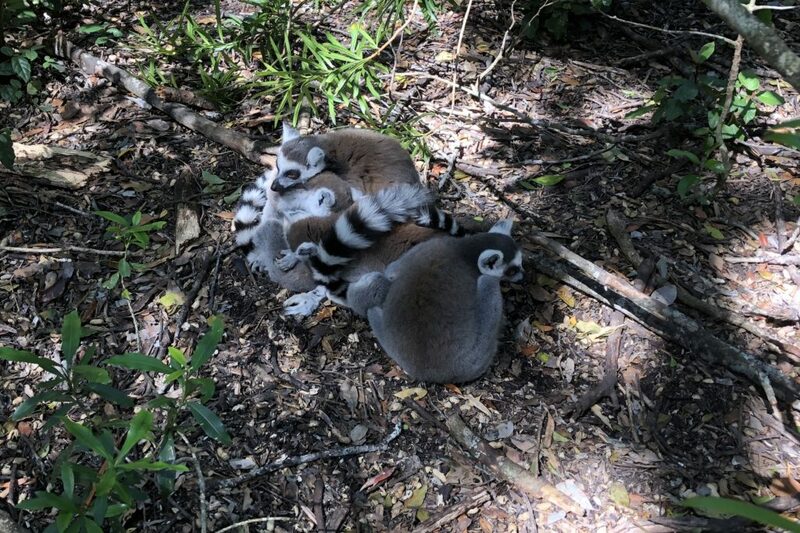 At the Monkeyland Primate Sanctuary in Plettenberg Bay, I learned that lemurs huddle together in these aptly called “lemur balls” to share body heat. When it’s cold enough, they even take turns to be in the middle. WARNING: This post has grown into a long ramble over the past few days. I hope that you enjoy reading the ramble as much as I did thinking of you while writing it. This post has been taking a while. I am now back here at the start, after having been almost at the end, because I did not want you to have the idea that my 2018 did not have aspects I am not that happy with, or that I don’t use multiple negations in confusing ways often enough. Back to my main story: During retrospection, I have the tendency to focus (sorry, couldn’t resist) on the good parts, because this is what I remember the best. However, for the purpose of this post, I did want to spend some words on one of the (multiple!) issues that I struggled with in 2018. Either I am getting worse at focusing, or I am getting better at noticing when I lose focus, or a combination of both. At the very least five of the posts I wrote in 2018 dealt in some way with focus. The mentioned posts specifically and my thinking generally take the form of some analysis but mostly tools and tricks to try and improve the frequency, intensity and length of periods of focus. Even more subtle is the problem of selecting That One Most Suitable Thing to focus on. What’s going to have the most impact? What do I have capacity for at the moment? Can I trust my own subjective assessment of my current capacity, or is Lazy-Me being sneaky? By the time I have made a decision, it’s probably wrong. Sometimes it’s a good decision, but by then the little block of time I had has flown away or has been blown to smithereens by the latest interruption, and so the quality of the decision is moot. I would have expected that at this advanced age focus would come naturally and easily, and that I would know exactly what to do. However, I have had to accept that focus will probably remain this slippery and require constant attention (haha I see what I did there) until the very end. Besides eating well, sleeping well, exercising regularly and taking time to meditate (just in case! ), our old friend the pomodoro technique is still the best tool in the box. During 2018, 36 blog posts were published here, most of which were Weekly Head Voices. Those of you who have a math degree or two will not need much time to calculate that the “W” in “WHV” is at the moment mostly a little inside joke. However, I did publish 14 more posts than I did in 2017, so there is hope for this year! The wordpress.com statistics plugin reports just over 19000 visitors (unique IP numbers) who were responsible for just over 26000 page views for the whole year. Because many people use some form of ad and/or tracking blocking these days, their visits won’t be counted, as the wordpress.com statistics relies on a tiny image which is hosted by wordpress.com, access to which is (rightfully) blocked by many blocker plugins. In order to get a better idea of how many ad-blocker people read my stuff, I installed the wp-statistics plugin, which locally tallies up all visits and hence is not blocked by blockers, at the start of March. For the period from March 2018 until the end of the year, it is reporting just over 74000 visitors and somewhere north of 390000 page hits. Although to me this seems on the high side, I do think we can safely say that there were somewhere between 19000 and 74000 unique hosts, which to me is a very pleasant surprise. However, I am by far the happiest due to all of the interactions I had with friends, mostly old and some new, on this blog. Most recently, the comments section of WHV #156 blew up in such a brilliant way! 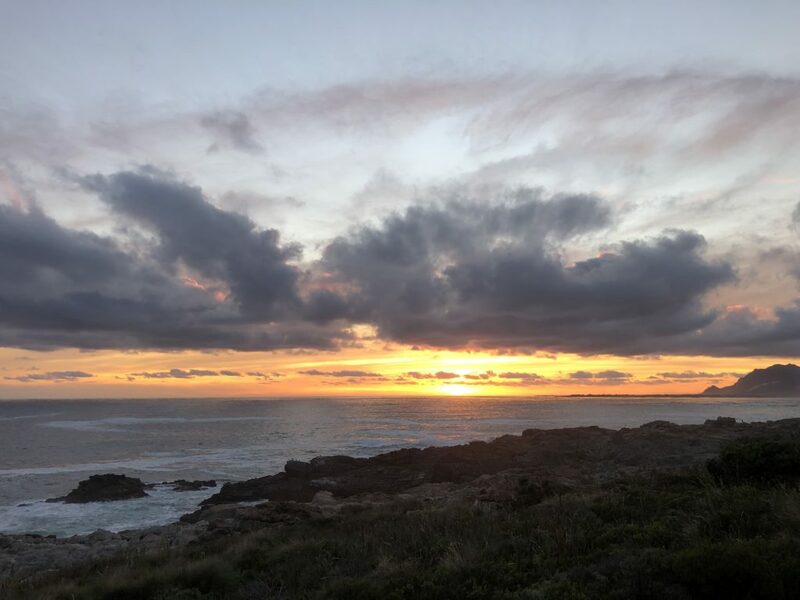 More generally speaking, even when there are no comments, I know that throughout the year I am connecting with various subsets of my peeps through the posts on this blog. This acts as tremendous motivation to keep on writing. If even a single friend reads, it has been more than worth it. Surprisingly, I again will aim to write one WHV post per week. I will probably fail again, but I believe that this is one of those cases of “aim for the stars, reach the moon”. As mentioned above, writing these letters and writing them regularly is really important to me. Strava says I ran 1286km in 2018. Seeing that I had set myself a private goal of 1000km for 2018 (2016 was 440km and 2017 was 880km), I am quite happy with this. I did 770 of those 1286 kilometres in sandals, and a further 35km on barefoot. More importantly, I had to learn the humbling lesson that no amount of stubborn, brute-force exercise could work around the fact I am flat footed (arch-challenged? ), resulting in easily overworked posterior tibial tendons. As I pushed my weekly distance up, my feet complained more loudly, until I was forced to go back to normal-person-running-shoes. After a few weeks eating humble pie in running shoes, things are going much better, and I recently did my first short and careful run in sandals. In 2019, I would be happy to maintain my 2018 monthly running quota, to remain injury-free, and to maximise my running zen. Yesterday, which at the time of writing is January 4, 2019, was the first day of EAZ #2. It has been two years since the previous EAZ in 2016. The previous experiment coincided with a significant jump in my running performance, the effects of which did not fade away after the end of the experiment. This time around, the plan is to run EAZ for at least as long as in 2016, but hopefully a few days or weeks longer. Most nerds I know have side-projects. These are the technical artifacts, systems and machines one builds, because one can’t stop building stuff, even after work ends. Like most nerds, I have a number of these that started with high momentum (new programming language, new tools, new problem, EXCITING! … 3 hours later … NOVELTY COMPLETELY WORN OFF doh.) and are now lying around gathering dust. Inspired by a colleague who managed to ship a brilliant shooter game side-project on Steam last year, I made myself the promise to ship more side-projects. After that, I managed to ship two side-projects, one small and the other quite tiny. This was a satisfying experience that I would like to continue in 2019. I used to spend a few minutes every second morning before work doing simple mindfulness breathing and focus exercises. It was worth the modest time investment many times over, in terms of focus, and especially in terms of seeing life in perspective. In the second half of 2018 I let this habit slip for some or other reason. I think it’s because I convinced myself that running time could also count as meditation time. In 2019, I’m going to #bringbackthemeditation. During 2018, I started taking a more structured approach to the books I wanted to read, and the courses I wanted to follow, by tracking these in my sneaky longer term goals which form part of my daily planning routine. More structure meant more books read to completion, and more courses followed, resulting in an Ever So Slightly Improved Me. I am planning to continue and extend this practice in 2019. The System is Emacs, and orgmode, and multi-scalar note-taking everywhere, and sketching, and daily habits, and a whole bag of tricks to try and keep this creaky old frame moving in the right direction. One step, and then another, and then another, until the lights finally go out. Try to grow a tree. I grew up with a fuerte avocado tree that gave us hundreds of the divine fruit every season. Fast-forward 40 odd years, and my mom (HI MOM!) gave us a beautiful baby fuerte avocado tree for Christmas! 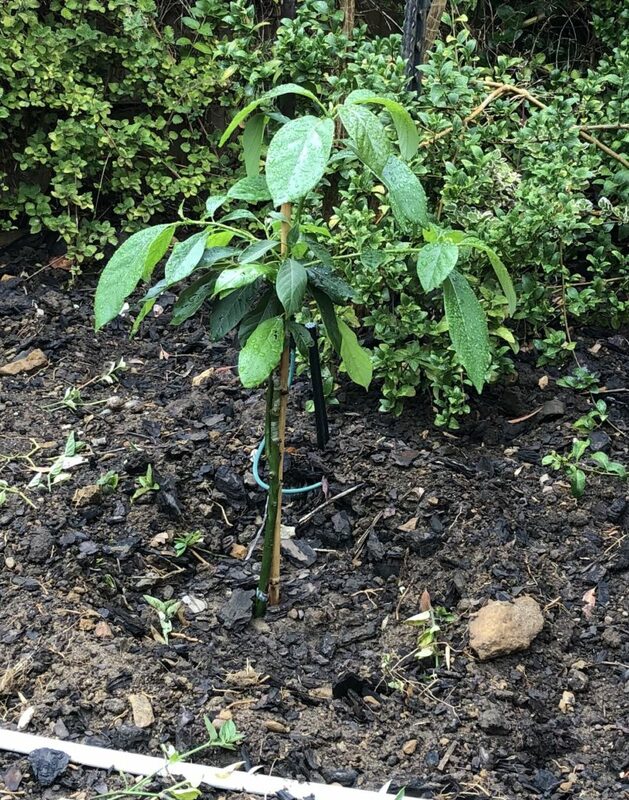 The baby avocado tree, right after we transferred it to its new home, in a little nest of fine compost and bone meal. We are currently trying to nurture it through its first few weeks of life in our garden. This is it my friends. You have made it to the end, an endeavour for which I am truly grateful. I wish you a 2019 filled with growth, health and happiness. This reminds me of a certain sunset in the Tankwa desert with a rather funny helicopter. < Weekly Head Voices #160: Write stuff down. Related posts: 🌤 The 2017 to 2018 transition post. 🌤 Weekly Head Voices #157: Melodramatic. 🌤 Weekly Head Voices #149: I forgot to proof-read this.